← “How I Started Hooping” Giveaway Winner! 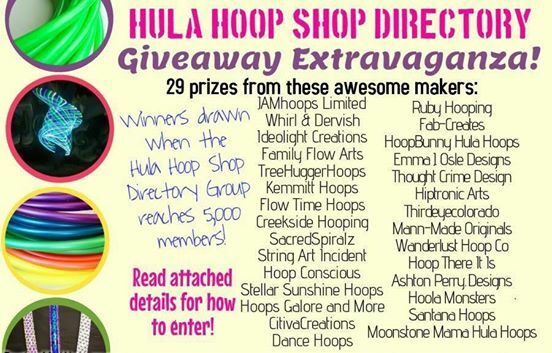 Posted on February 9, 2015, in HoopBunny Hoops and tagged contest, giveaway, handmade, hoola hoop, Hoop, hoop bunny, hoop dance, hoop shop, HoopBunny, HoopBunny Hoops, HoopBunny on the Web, hoopdance, hoopdancing, hoopers, Hooping, hooping blog, Hula Hoop, hula hoop shop directory, hula hoop shop list, hula hooping. Bookmark the permalink. Leave a comment.